The Extra Extra Ordinary proposes a new sensory processor to attend thier contemporary everyday life with add-ons movements and sensitivities. As the title suggest, this is a unique and abstract way of looking at things shared among human and the non-human; and their correlation and disjoints as informed by contemporary objects, technology and culture. Also see the possibilities towards the generation of various social and material connections, finding ourselves simultaneously in the process of becoming and worlding. One of the issues of our time is the growing tension to unlearn ethics between human and non-human worlds. The question on culture that we’ve inherited in the face of accumulated ecological catastrophes, of wars and the continuously increasing debts that are passed on to the coming generations. Our anxiety goes even further beyond traditional boundaries with technology invention all the time. Many of us have been addressing ideas of the Post-Human and that of New Materialism as a possibility of finding ways to think beyond human principles, reasons and perspectives. The Extra Extra Ordinary shares such concerns specific to our modern material conditions, and seeks to offer an alternative spacetime for us to exercise and explore how we can relate ourselves among things seen and unseen. The Extra Extra Ordinary conceives many unparalleled sensibilities to operate the essence of life in detail, interexchanges and connections among matter, energy and life. With the circulation of these ideas, where agents such as audience become intrinsic parts of the media outputting the extraordinary celebration of every ordinary life takes on a poetic and imaginative turn. 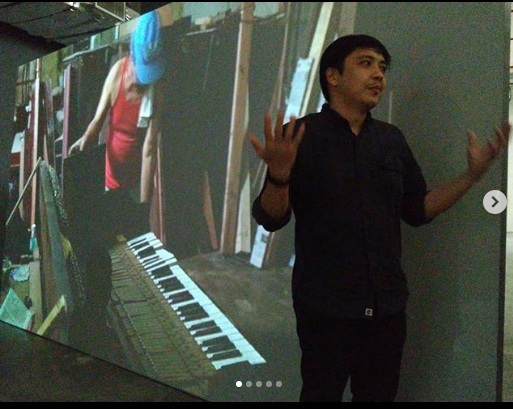 Curated by Joselina Cruz and Esther Lu, the exhibition will include work by Tromarama, Chou Yu-Cheng and Gary-Ross Pastrana. Please RSVP by 17 September 2018 by emailing mcad@benilde.edu.ph or calling 2305100 loc 3897. For more information, email mcad@benilde.edu.ph.